All our dreams come true if we have the courage to pursue them. Many of our dreams at first seem impossible, then they seem improbable, and then, when we summon the will, they soon become inevitable. I'm a Nahid Sultana, student of Department of Business Administration of Daffodil International University. From the very first of my university I was concerned about my studies, academic results, extracurricular activities, and clubbing. It was my childhood dream to study in abroad. I have heard that there are a lot of opportunities and exchange program in Daffodil International University (DIU). One of my friends from DIU Business and Education club suddenly informed me about Mevlana Scholarship Exchange Program circular of 2017-2018 in Turkey. Immediately I contacted with International Affairs office. After getting selected, they sent my reports to turkey government and finally, I along with 4 other students of DIU got the scholarship to study in Karabuk University, Turkey. I'm very thankful to my friend who supported me to grab this opportunity. It was my first experience to go outside of the country. I was very excited about it. Finally, the day of my departure had come. Everyone was so rueful because I was leaving them. After 10 hours of the journey, I reached in Istanbul. I was just amazed seeing the beautiful country. We took a bus and we reached there. In the morning we wake up and started a new day in Karabuk University. International Relations of KU welcomed us like we are family and fortunately I met them in Bangladesh before coming to Turkey. 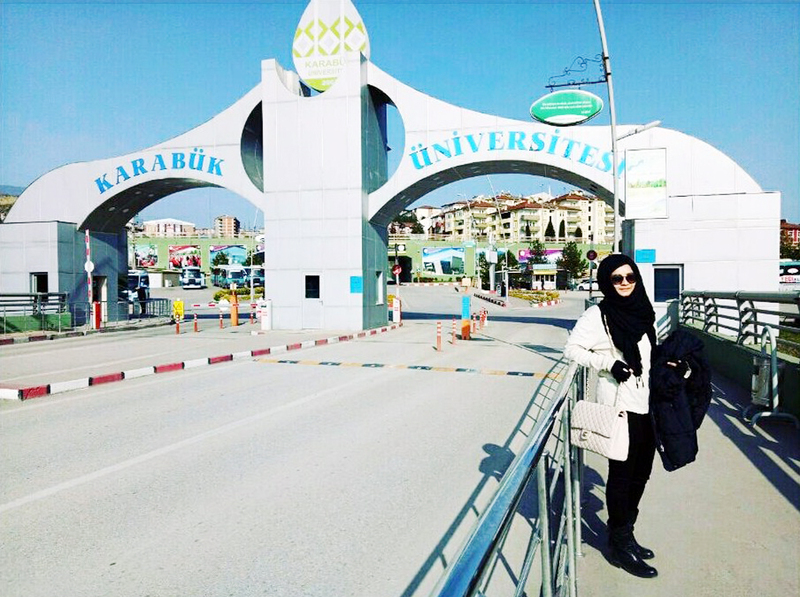 Karabuk University is so beautiful because it's surrounded by the mountains and beautiful mosque. Sometimes, to realize if all of these were in my dream or real, I pinched myself while walking in the beautiful street of Karabuk, while watching the most beautiful sunrise in Karabuk and listening to the Azan from the beautiful mosque. I have visited many cities and historical places in Turkey, for instance, Safranbulo, Amasra, Zonguldag and I have also visited Bulent University. The interesting part is that in this semester Dr. Md. Sabur Khan, Chairman, Board of Trustees, Daffodil International University, Bangladesh visited KBU. It's a great achievement for me as he told us "You're the future of our country, make us proud". Mr. Mohammad Emran Hossain, Director (Administration) and Mr. Syed Raihan-Ul-Islam, Senior Administrative Officer of International Affairs of Daffodil International University (DIU) visited KBU as well. However, after some days later our academic lesson started. A major problem is that in Turkey there is a language barrier, most of the faculties do not know English well. So in the classroom, we faced some difficulties. But the teachers were so kind that they give us some extra time for that. I can introduce myself in Turkish language and I can count 1 to 100 in Turkish for example bir, eki, uch and I can talk to the shopkeepers and bargain with them as well. I have made a lot of friends from Romania, Pakistan, India, Kazakhstan, Egypt, Jordan. I am learning their culture. We celebrated Easter Lunch together as it is a religion thing of Romania and we also celebrated our Bengali new year in Turkey with a lot of different country's people. No doubt it's a new experience, because we wear our traditional dress Sari as well and the people were so surprised to see us in our traditional dresses. Turkish people are very good when it comes to hospitality. I never thought that I would fall in love with this place to such an extent that I won't be willing to go back. I learned many things here. Receiving foreign people's love, living on my own independently, exposed to larger extents of foreign exposure - these experience is letting me know my unique strengths and power more clearly. Recently I have participated in Ulke tanitmak or Külbiss festive organized by all foreign students of KBU. More than 4000 students from 53 different countries at the University of Karabuk , introduced their culture, traditional attire and foods. It really feels great when I represent my country in front of different countries people. We cooked Biriyani and the fun moments is that when Rector Prof. Dr Refik Polat and others came to our stall they liked our Biriyani and some of the teacher give their cards and told us that if we cooked it again we should inform them and I invited them to Bangladesh. Another best moment for me is that when I wear our traditional dress Sari and everyone came to me and wanted to take pictures with me. One of the members of Education Ministry of Safranbulo took picture with me. After that he told one of our teachers that he wanted to do a meeting with Bangladeshi students. It feels really great when everyone likes our dresses and foods and culture. I think this is the meaning of exchange program. I chose Daffodil International University because Daffodil gives a lot of opportunities and scopes to the students. For this I will be always owed to Daffodil. I'm exploring myself and knowing the cultural differences between different countries and exploring different foods, meeting with new peoples. Here we are sharing our emotion with each other despite missing my country Bangladesh, my university, parents, teachers, and friends. In my opinion, Daffodil International University and Karabuk University are like a family. I hope we can keep this relationship in future. I'm really thankful to my university and my parents for this opportunity. I'm also thankful to the international Affairs of DIU who believed in me and helped me in staying positive but most of all I'm really thankful to Allah for making me strong enough and letting me to explore the world. (The writer is a Mevlana Scholarship holder of Turkish Government for Year 2018 at Karabuk University, Turkey).